This Semi Dress sporran is made in Glasgow, Scotland and has a thistle on the top flap. It comes with a sporran chain to fit the waist measurements provided. 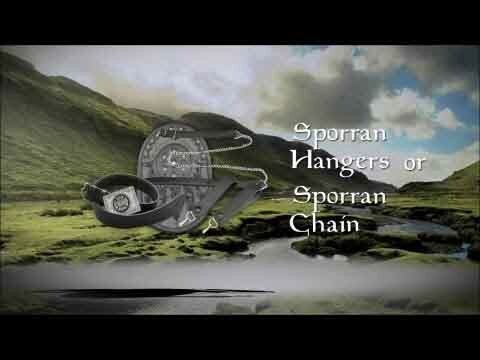 This sporran includes something extra - our 'Internal Pocket' design to hold business cards, credit cards or loose change. You won't have to dig around the bottom of your sporran for that last quarter or for your business card. The internal pocket design is exclusive to USA Kilts. Why is the thistle the "Flower of Scotland"? 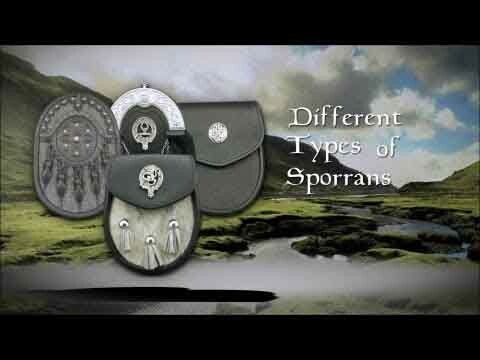 According to a legend, an invading Norse army was attempting to sneak up at night upon a Scottish army's encampment. During this operation one barefoot Norseman had the misfortune to step upon a thistle, causing him to cry out in pain, thus alerting Scots to the presence of the Norse invaders. Some sources suggest the specific occasion was the Battle of Largs, which marked the beginning of the departure of King Haakon IV (Haakon the Elder) of Norway who, having control of the Northern Isles and Hebrides, had harried the coast of the Kingdom of Scotland for some years. This is a stock item that is available for immediate shipment.